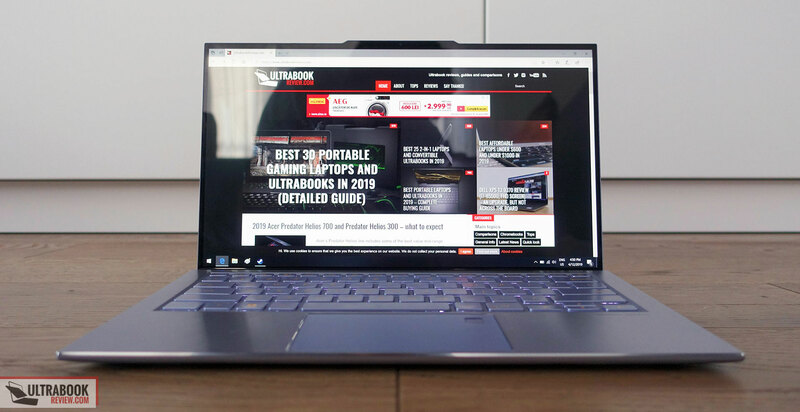 Summary: I've gotten my hands on the vast majority of ZenBooks over the years, and the ZenBook S13 UX392 is Asus's best ultrabook to date. It's not perfect and is also not for everyone, but it pushes the industry forward with its design, build quality and features. 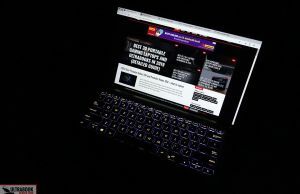 That's why, if you're in the market for a premium built compact laptop with a great screen, fast keyboard, and the performance to handle everyday chores, demanding tasks and some games at the end of the work-day, this is one of the better-value options out there. 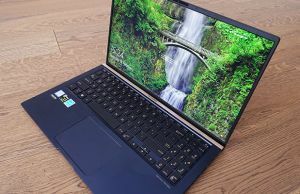 The UX392 follows up on one of our favorite ultrabooks of 2018, the ZenBook S13 UX391 series, and competes at the high end of its niche not just with devices like the Dell XPS 13 9380, the Microsoft Surface Laptop or the Lenovo ThinkPad X1 Carbon, but especially with the Huawei MateBook X Pro and Razer Blade Sealth 13, as this 2019 version of the ZenBook S13 now gets dedicated graphics and a larger screen. 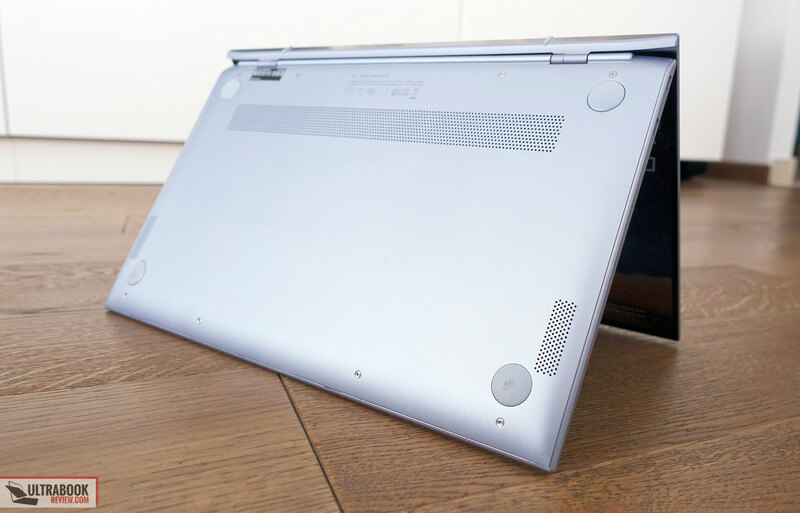 Aside from the harsh edges, the UX392 is, for the most part, ergonomic and comfortable to use. 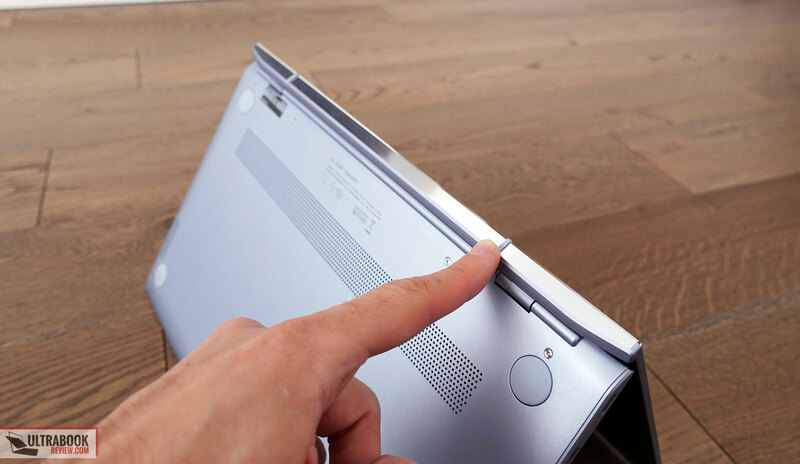 The palm-rest offers enough arm support, the screen can be easily lifted with a single hand and the rubber feet at the bottom offer fair grip on a desk. 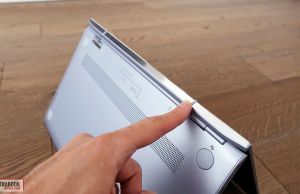 However, the screen only leans back to about 130 degrees, which can be limiting in some situations, and the fact that the whole laptop rises on these tiny rubber feet at the bottom of the screen does have an impact on its overall stability, making it easier to slide across a flat surface than other devices. So be careful not to stumble on the cable, the USB-C charger plugs in snuggly and you’ll end up with the laptop on the ground. 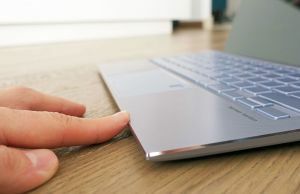 The IO is perhaps the only major aspect where the ZenBook UX392 no longer aligns with my expectations, but the fact that it only gets two USB-C ports, one USB-A and a microSD card-reader doesn’t come to a surprise, given its size and today’s miniaturizing trends. 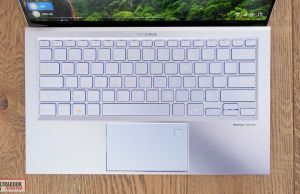 The USB-C ports support gen 2 USB 3.1 transfer speeds, DisplayPort video output, and charging, but this generation no longer gets Thunderbolt 3. 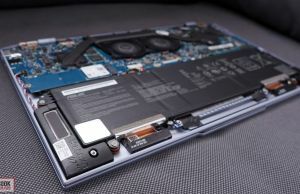 Asus decided to ditch that for the MX150 GPU, however, one should not exclude the other, as the Whiskey Lake Core U CPUs offer 16 PCIe lanes, enough to accommodate a dGPU, Thunderbolt 3 and NVMe storage at the same time, as proven by devices like the Huawei MateBook X Pro or the Razer Blade Sealth 13, among others. 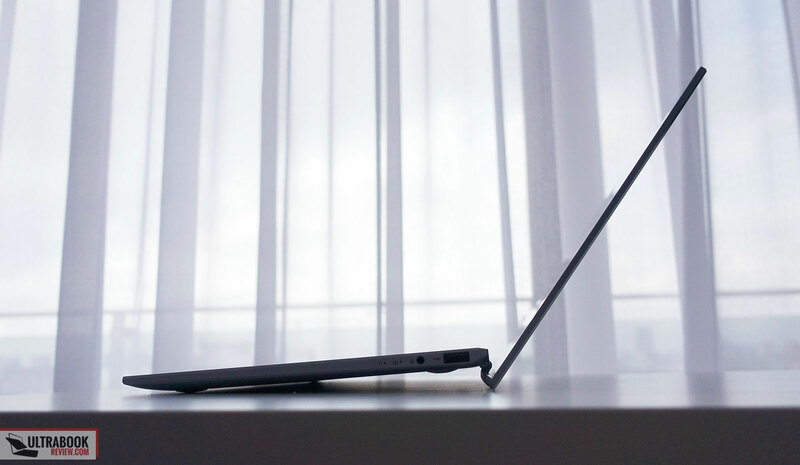 Overall, the ZenBook UX392 improves on the already excellent UX391 in terms of design and build quality, while adding a larger screen. 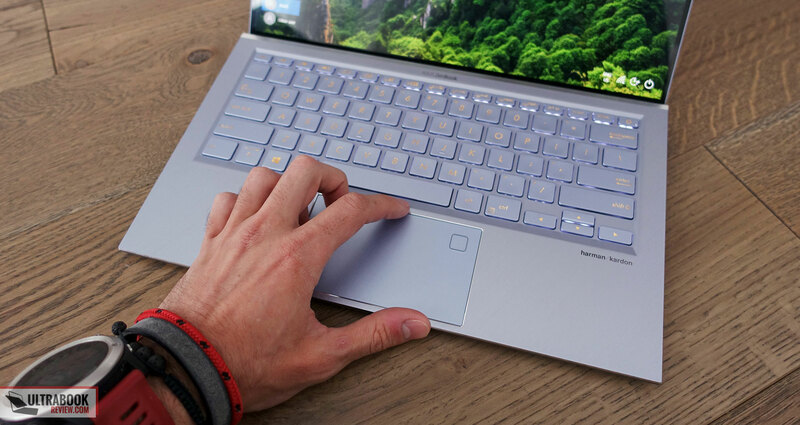 At the same time, the sharp front edge and corners make it more unforgiving on the wrists, but my major gripe is with the lack of Thunderbolt 3 support, something offered by the previous generation. 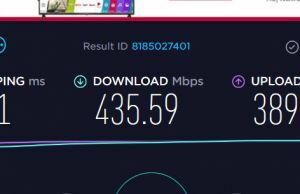 It’s true that some of its functionality is supported by the existing USB-C gen 2 ports, but you’re not going to be able to hook up an external GPU enclosure or get the same transfer speeds with these. 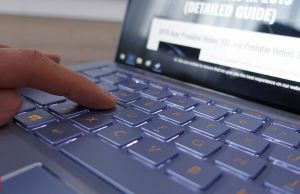 The keyboard on the UX392 looks identical to the one on the ZenBook 14 UX433, but it doesn’t’ feel the same, and I’ll explain why in a bit. 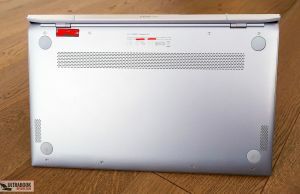 The layout is standard, with softly finished full-size keys, short arrows and miniaturized Function keys at the top, as well as the Power button integrated into the top-right corner, which I’d advise you to disable from Windows in order to prevent putting the computer to sleep when looking for Delete, even if this is stiffer than the other buttons and pressing it requires more force. The yellow writing on silver keys doesn’t provide a lot of contrast as is somewhat difficult to read without illumination, but it’s perfectly readable with the LEDs switched on. 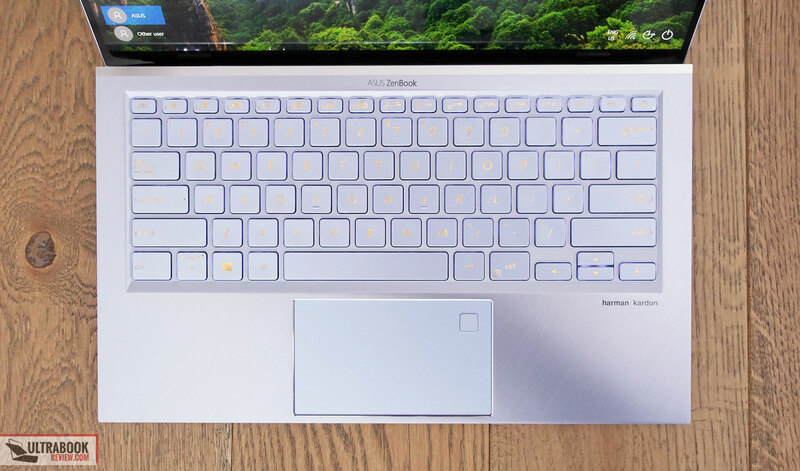 You can choose between three levels of backlighting, and the illumination evenly covers the entire keyboard and doesn’t’ creep from beneath the keys in an annoying way. This is also a fairly short-travel keyboard, with 1.4 mm keystrokes, and the feedback is alright. My experience was different than on the UX433, though, as I feel the keys actually actuate very easily on the UX392, don’t feel spongy and don’t require a firm middle press. 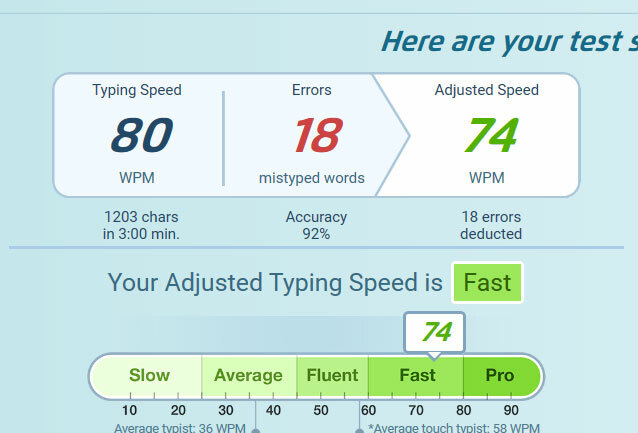 That made this keyboard very fast, but rather unforgiving at the same time, and my accuracy struggled at around 92-93%, down from my usual 95+%. 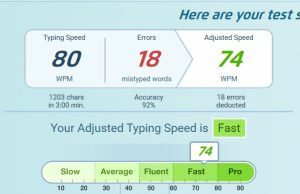 Capitalizing letters while pressing the left Shift key with my pinky was especially problematic, but it added up to other sporadic missed strokes. I do, however, have two nits with the screen. First of all, you probably noticed that there’s a layer of glass on top of this panel, but no touch support, so the glass is only there to protect the display and reinforce the screen’s frame. 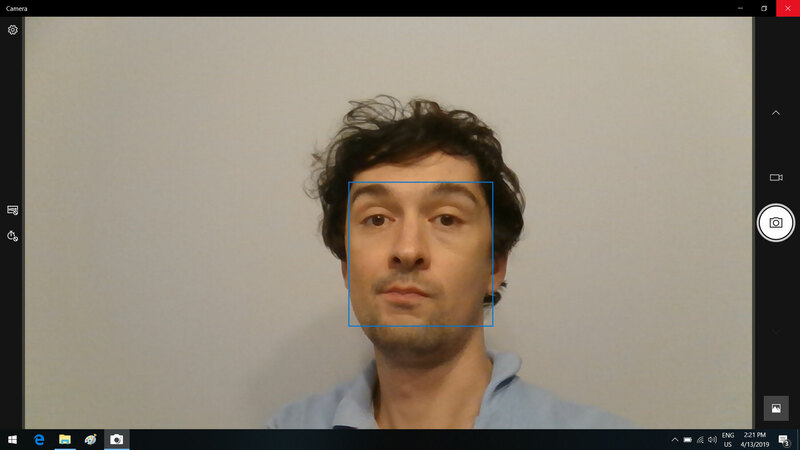 The side effects are the glare and reflections, something I can accept on a touchscreen, but not that much otherwise. 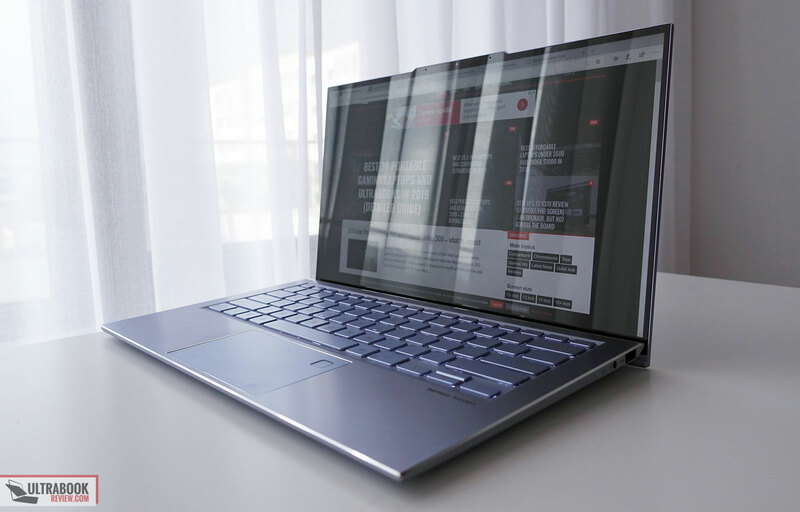 I know some of you like the smoothness of these glasses covered screens, similar to the ones on the MacBooks, but I for one would much rather get the graininess and practicality of matte panels instead. My second nit concerns potential light bleeding issues, caused by the tiny bezels pinching on the panel. 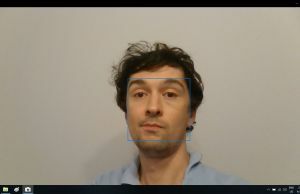 We got some pinching on our review unit, but only visible on a dark background at maximum brightness, so not with actual use, even when watching 21:9 movies at normal brightness. 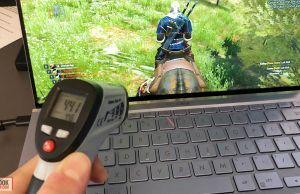 There is no guarantee you’re not going to get worse bleeding on your unit, though, so make sure to test for it once you get the laptop. 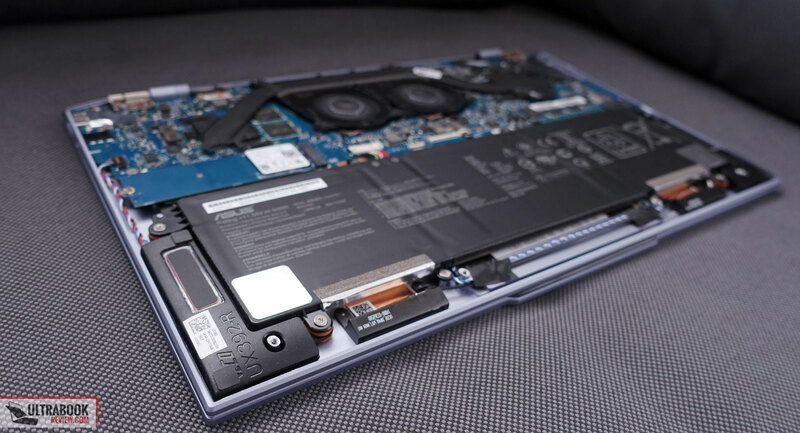 Out test versions is a higher specced configuration of the Asus Zenbook S13 UX392FN, with the Core i7-8565U WhiskeyLake processors, 16 GB of RAM and Nvidia MX150 graphics, in the lower-power 10De 1D12 variant meat for ultraportable laptops. 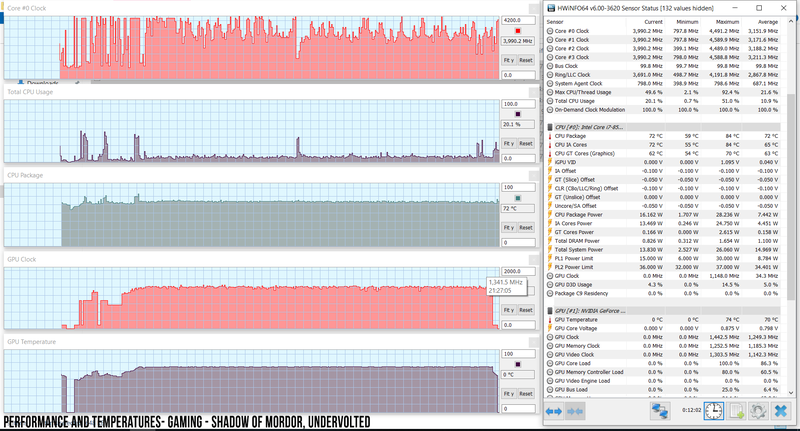 It only gets a 256 GB SSD though, which is hooked up via a PCIe x2 line. 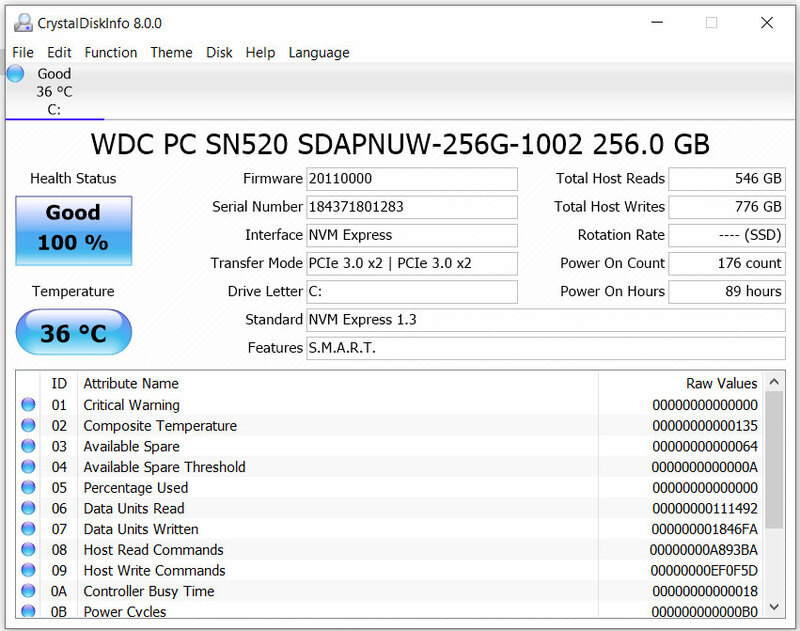 If you opt for a 512 GB or 1 TB SSD out of the box, those should be hooked via a full-width PCIe x4 connection, although the exact SSD will differ from region to region. 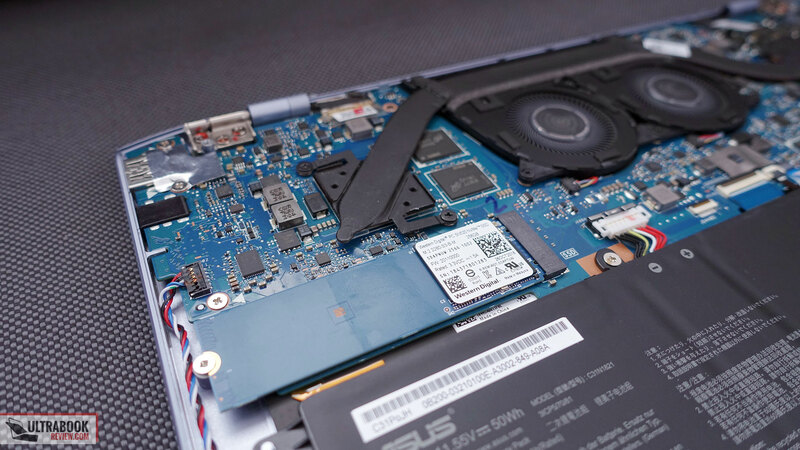 The CPU, GPU, and RAM are soldered onto the motherboard, and the WiFi uses a miniaturized format, so the M.2 SSD is the only easily upgradeable component. 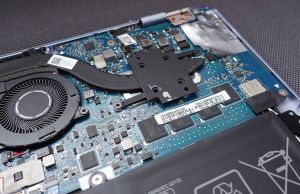 Getting to it is a fairly simple task, but requires you to remove the back panel, which is held in place by a few Torx screws. 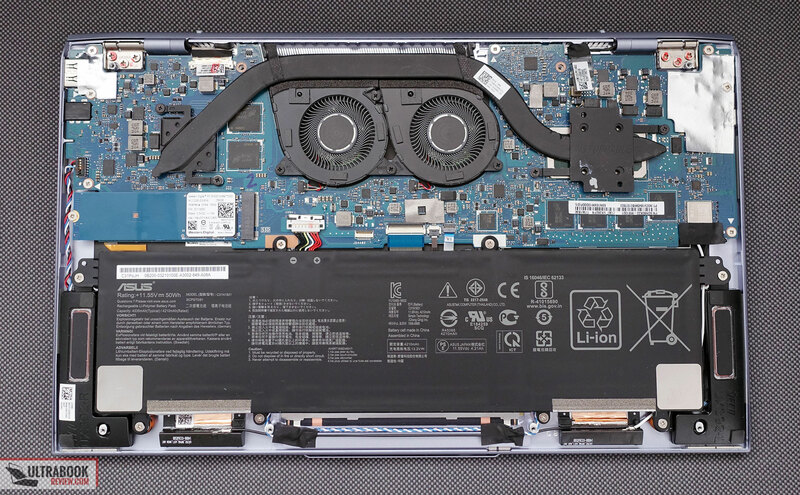 In here you’ll also notice the dual-fan thermal solution, the 50 Wh battery, and the speakers. 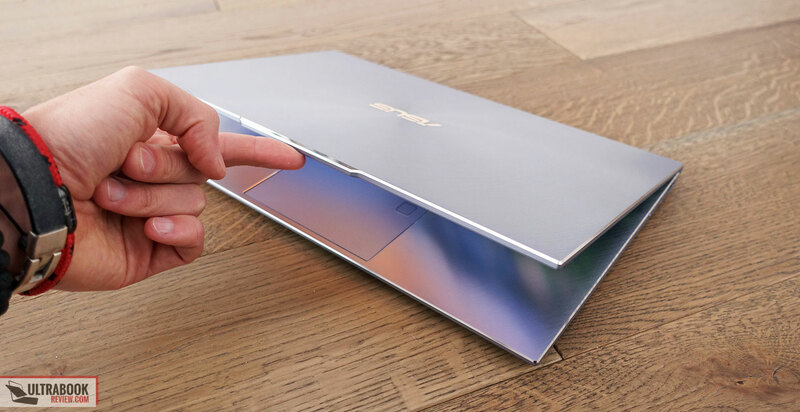 There is a little bit of unused space at the front, which suggest Asus could have probably squeezed in a bigger battery, but chose not to and just stick to the 50 Wh battery they offer on the entire 13/14-inch Zenbook lineup these days. 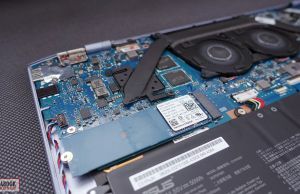 Of course, with this kind of hardware, the ZenBook UX392 handles everyday chores easily, while running fairly cool and quiet, as you’ll find out from the next section of this review. 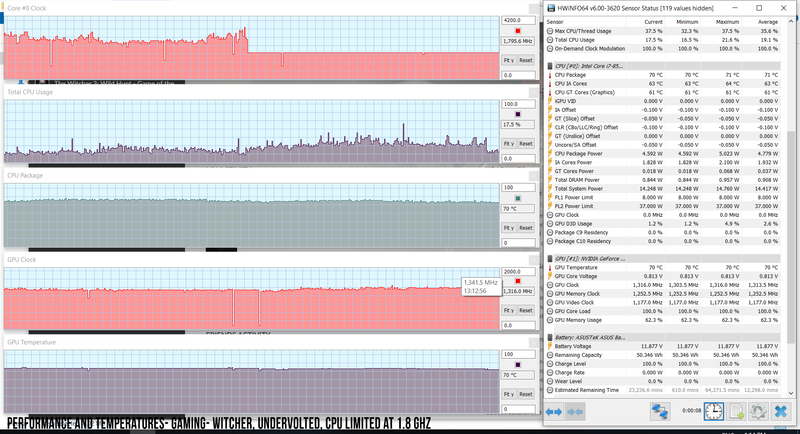 The following logs offer insights on the CPU/GPU speeds and temperatures with everyday use. 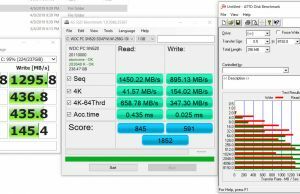 The Core i7-8565U Whiskey Lake processor is fairly competitive, with four cores, eight threads and the ability to run at high frequencies if allowed by the thermal implementation. 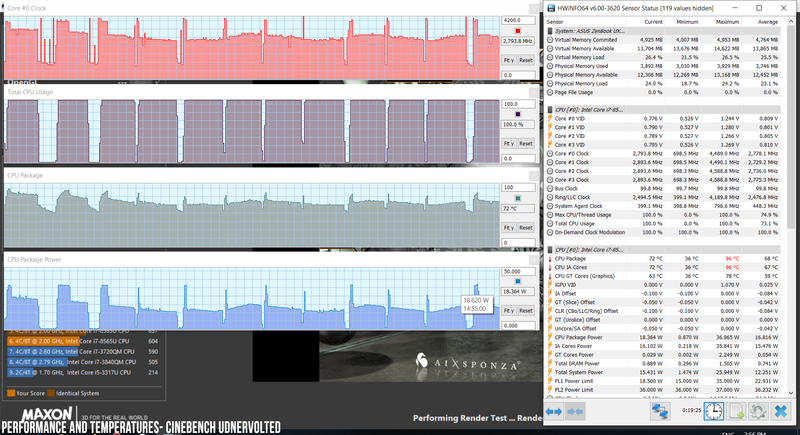 Normally, we test the CPU’s behavior in demanding loads by running Cinebench R15 for 10+ times in a loop, with 2-3 sec delay between each run, which simulates a 100% load on all the cores. Our test unit is pre-production though, so we’re not going to get in-depth on this matter here. 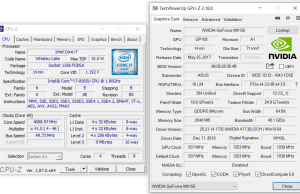 We will, however, mention that we were able to get some excellent performance after undervolting the CPU at -100 mV, which allowed it to stabilize at frequencies of 2.7-2.8 GHz GHz, 15-18 W TDP, 68-71 degrees Celsius and scores of around 600-630 points. 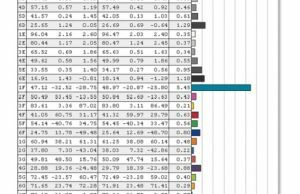 Take these findings with a grain of salt, though, as the final versions might actually run at higher TDPs and thus score higher. 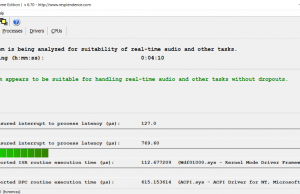 These CPU scores are possible due to the fact that the system allows the CPU to run at high TDP for a while, enough to ensure high Turbo Boost frequencies in short-term demanding loads. 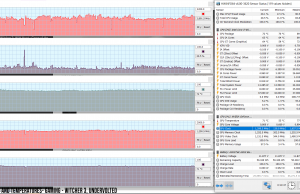 The performance eventually drops in long-duration demanding sessions, though, as the CPU settles for a more standard 15-18W TDP, as shown in the Cinebench loop test, which is normal from this kind of a thin-and-light laptop. 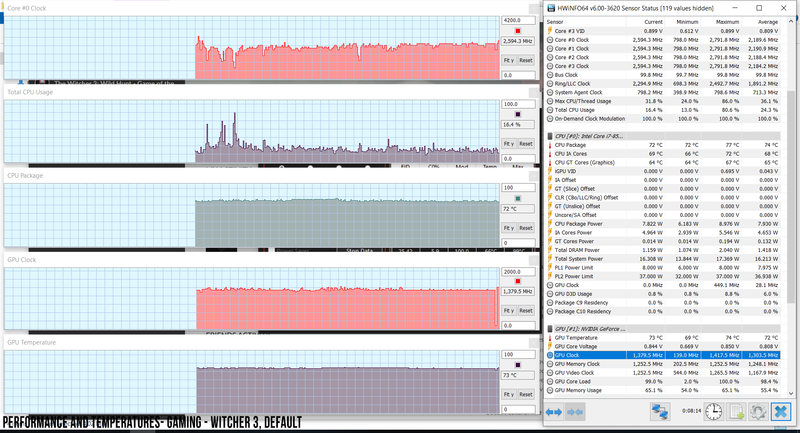 This is what we got in terms of CPU and GPU speeds in Witcher 3, a very taxing title for this kind of hardware. 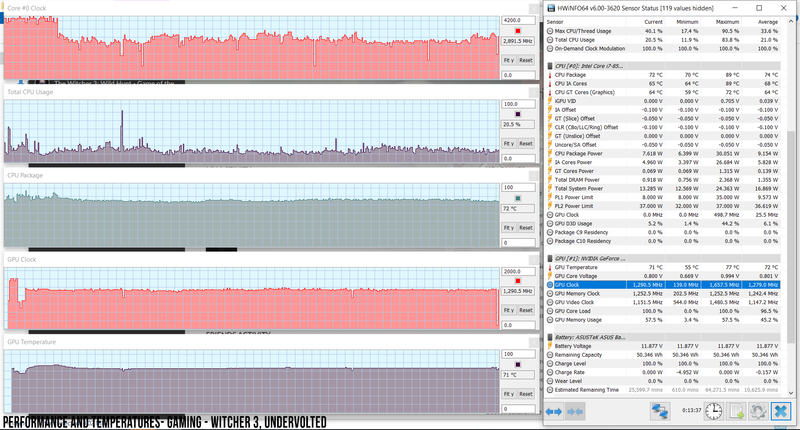 However, liming the CPU’s frequencies at stock speeds (1.8 GHz) in Throttlestop does lead to lower CPU and GPU temperatures, and as a result, allows the GPU to run at 3-5% higher clocks in Witcher 3, and more in less demanding titles. 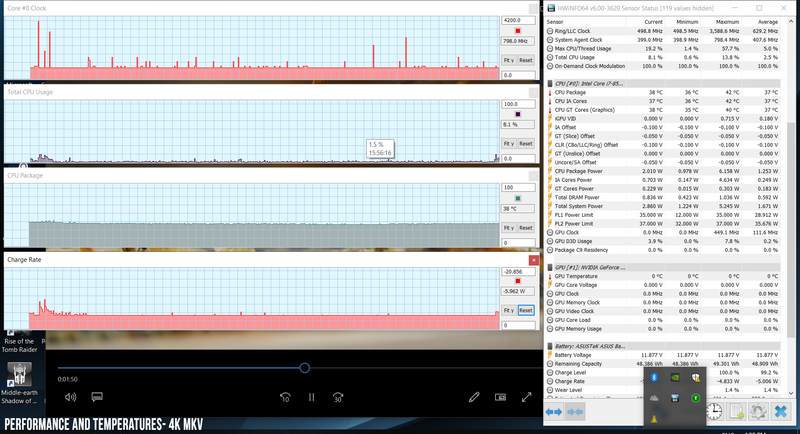 That’s a minor boost, but something worth keeping in mind if you want to get the best gaming performance on this laptop. 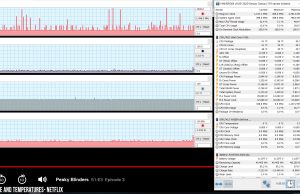 The fans are active with daily use, but you’re barely going to hear them even in a quiet room with everyday use, and only kick on faster with multitasking, while the laptop is plugged in and on the Best Performance power mode. 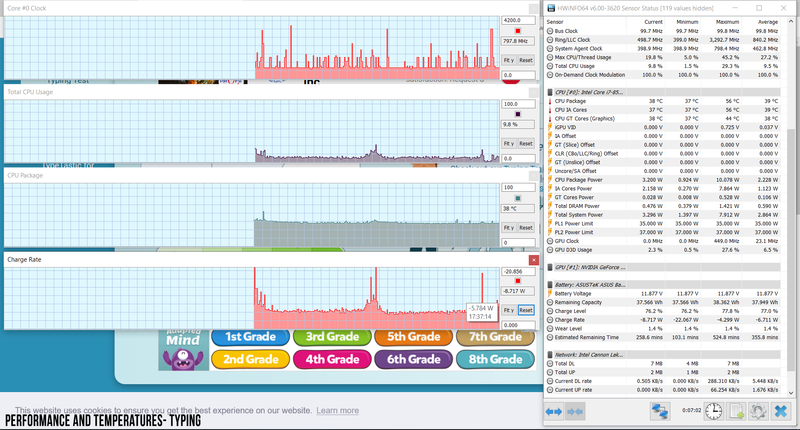 I did notice some electronic creaking though, but faint and still barely audible from regular use distance. 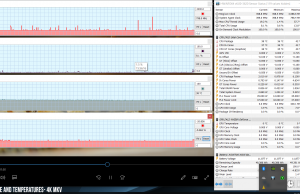 The fans spin faster with demanding loads and games, but don’t go above 42 dB at head-level, which is still a low noise level for this kind of a device. 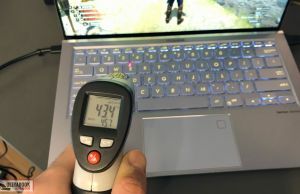 As far as temperatures go, the ZenBok S13 UX392FN runs cool with casual use, but heats-up with games. 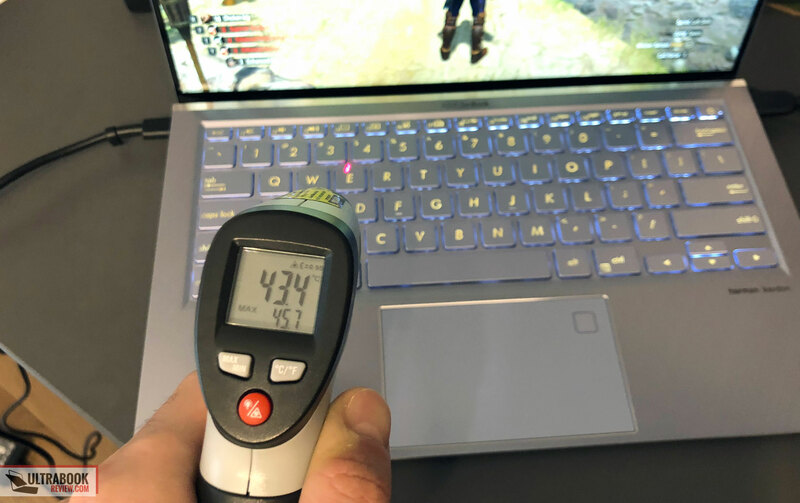 The top part above the keyboard reaches temperatures in the mid-40s, which is not that high for an i7/MX150 configuration of this size, but given the design and the metal unibody, you’re still going to feel the heat. 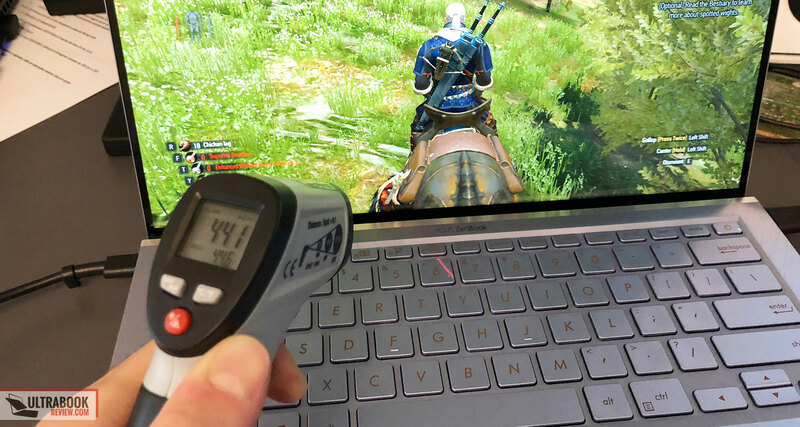 The WASD keys, for instance, reach temperatures of around 42-43 degrees Celsius, which puts them in uncomfortable territory. On top of that, the thermal design pushes hot air through exhausts placed behind the hinge, and with the very small chin, that actually means that the bottom part of the panel gets rather hot as well, reaching temperatures in the 43-45 degrees Celsius. I’d expect the layer of glass to offer some protection, but even so, I’m not sure if this won’t have a negative impact on the panel’s quality in that particular region. 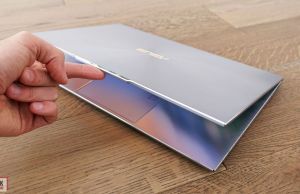 Asus has been using this similar design in the ZenBook 13/15 lines for a few months, and I haven’t yet heard any people complaining about this matter, but who knows what could happen within the expected 2-4 year lifespan of these devices. 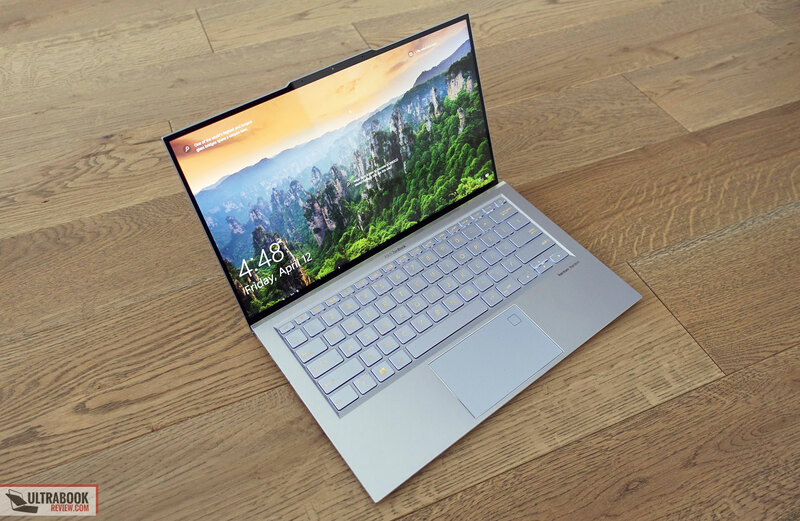 In the US, you’ll mostly find a higher end configuration with the Core i7-8565U processor, the Nvidia MX150 graphics and 512 GB of SSD storage, but only 8 GB of RAM, for $1399. 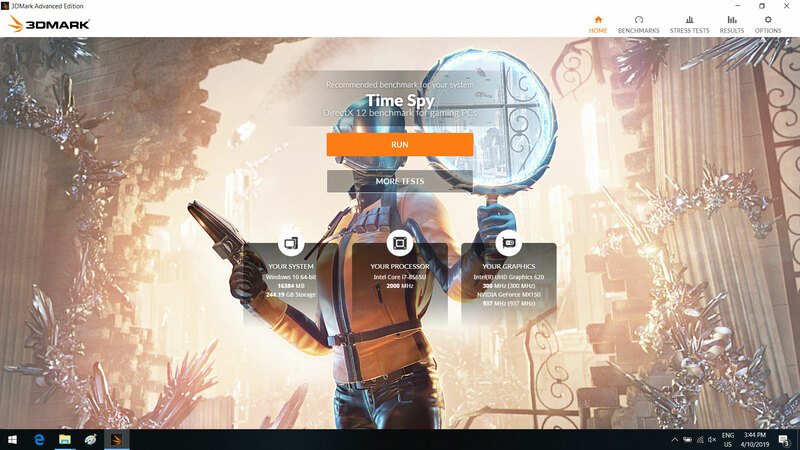 Other options should be available both in the US and worldwide later on, and we’ll update this section once we know more. I’m going to start this wrap-up with the potential deal-breakers, so you’ll quickly know if this is for you or not: it doesn’t get Thunderbolt 3 or IR cameras, is only available with a glossy non-touch display and only offers average battery life. On top of that, its metallic unibody design does leave some sharp, unforgiving edges and corners, which your wrists might not appreciate with daily use. 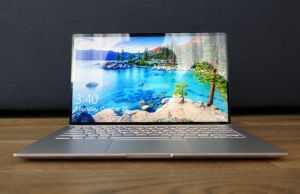 On the other hand, this is an excellently crafted and spotlessly finished computer, with a small-bezel 13.9-inch screen and a bright, vivid panel, modern hardware, fast wireless, and decent speakers and battery life. It also gets a good glass clickpad and a fast keyboard, although it’s a bit noisy and not the most accurate with my typing style, yet you might feel otherwise. 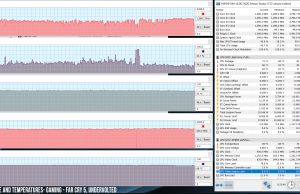 There’s also the performance aspect. Most ultrabooks of this size and weight get Whiskey Lake processors and NVMe storage, but this one also gets an MX150 GPU, which makes it more versatile for creative-work and games. 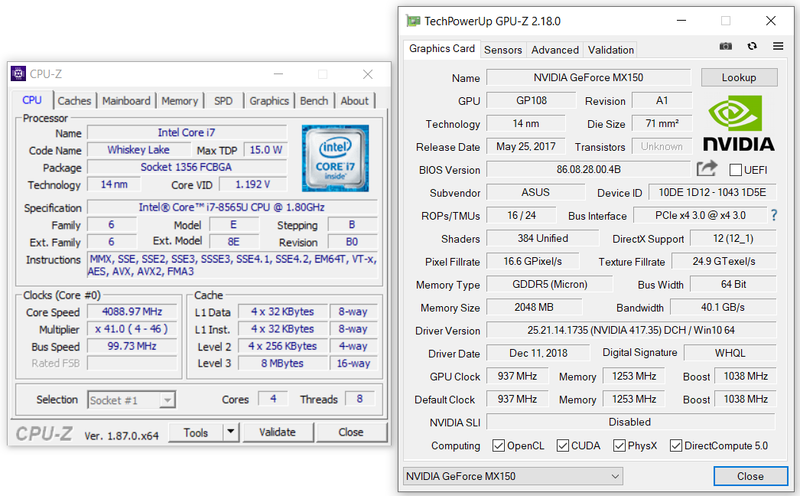 You might argue that other options are available with the newer MX250 GPU, but as already mentioned in the article, that’s hardly going to make a difference with real-life use, as the MX250 is pretty much a rebadged MX150 with the potential for slightly higher clock speeds, if allowed by the thermal implementation. 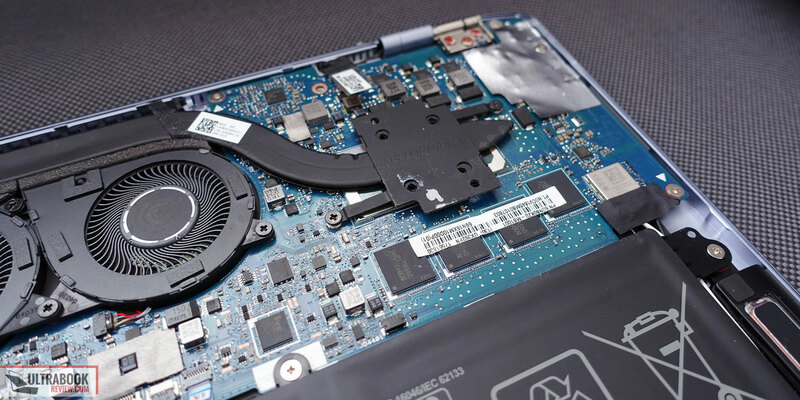 If the GPU is important to you, then this ZenBook UX392FN can be one of your best bets in its niche, and it’s in this niche where we rate it at 4.5/5, as an excellent ultracompact allrounder with the ability to handle productivity chores and casual games, once that long work day is over. 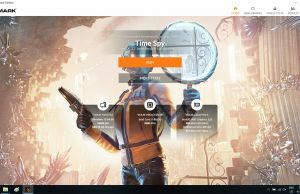 As a word of caution, though, make sure to buy from stores that handle returns and RMAs smoothly, Asus’s quality control has been reported as problematic, and there’s a chance you might run into some issues that we haven’t encounter on our test unit, which include, but are not limited to, severe screen bleeding, coil whine, wi-fi problems or a sticky clickpad. 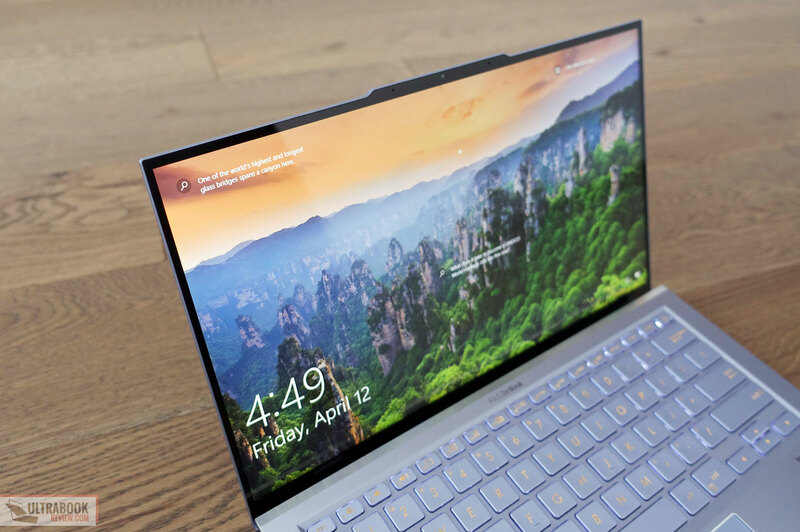 For some of you, though, the Huawei MateBook X Pro could be a better option. 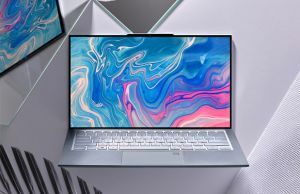 The 2019 variant is expensive, but last year’s variant is aggressively priced and has some strong aces down its sleeve: the 3:2 high-resolution touchscreen, the slightly larger battery, and Thunderbolt 3 connectivity. 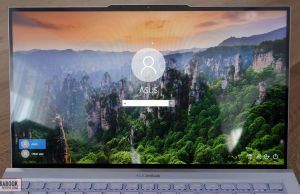 The MateBook X Pro is not without flaws, though, and also not available all around the world. 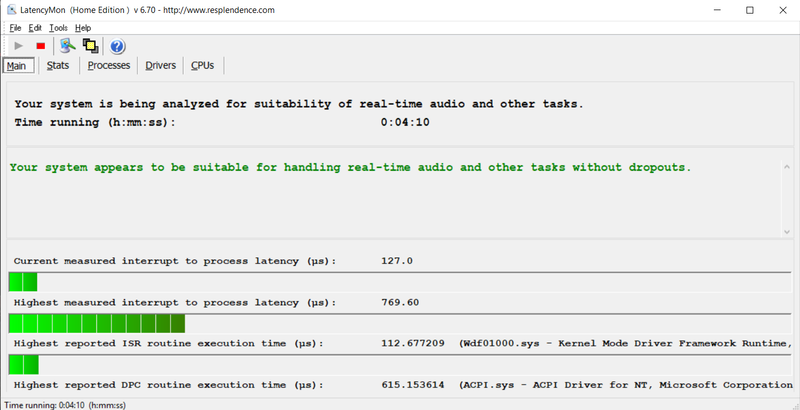 On top of that, in case the performance of the 10W MX150 chip does not allow you to run the games that you want, something like the Razer Blade Stealth 13 or even the MSI Prestige PS42 could be the alternatives to consider, as they are built on the 20-25% faster 25W variant of the MX150 GPU. 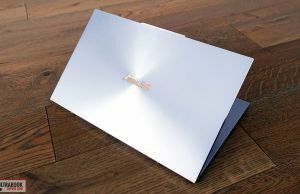 That pretty much wraps up our review the 2019 Asus ZenBook S13 UX392FN. I’m looking forward to hearing your impressions, though, so get in touch in the comments section if you have anything to add or any questions that I might be able to help you with. 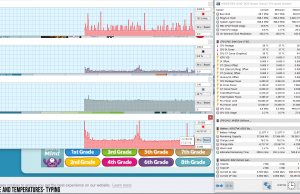 How is ASUS Ergolift different from the Dell Adamo XPS from circa 2009? They seem very similar to me. My question is, what advantages does the $1,400 ZenBook S13 (i7/MX150 Max-Q) have over $600 Huawei MateBook D (R7/Vega 10), besides being a little lighter? UX392FN is more on the level of HP Envy 13 and Lenovo Ideapad 14, ultrabooks with MX150 under $900. 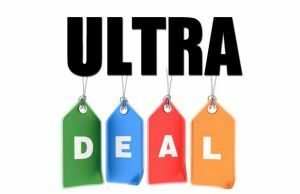 Year old premium options including MateBook X Pro 2018 or Thinkpad T480s are now available for around $1,200 and less. 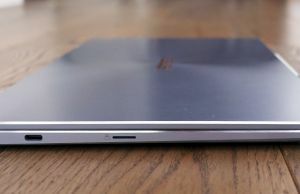 Considering that fact, this ZenBook is absolutely, enormously overpriced. 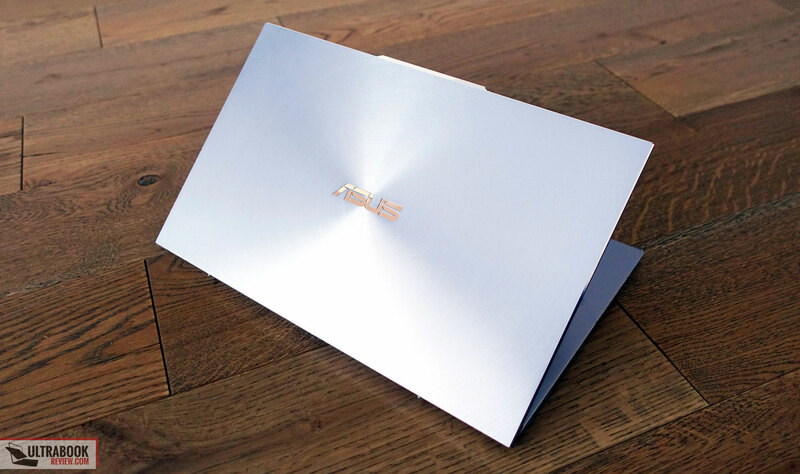 Like most things from Asus, this is another 5/10 laptop. 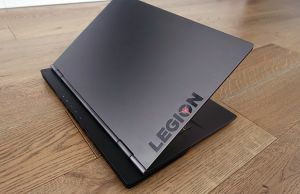 Give it a 500+ nit touchscreen option, decent ports, PCIe x4 controllers, 60+ Wh battery, usable speakers, upgradeable components, all with a non-catastrophic QC and Service record, and then we're talking $1,300+ launch price for an entry-level dGPU laptop. 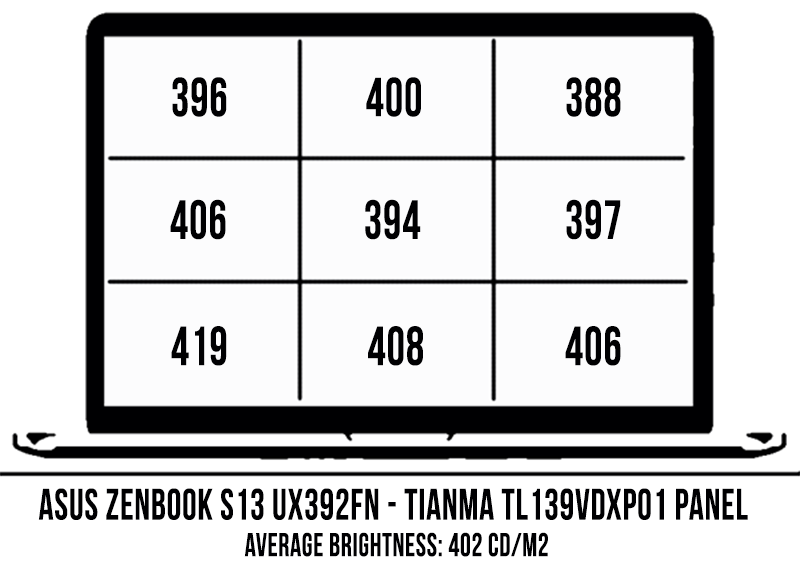 Also I fail to understand how this category is a niche, or how this is different from 20 other MX150 ZenBooks with marginally varying specs and inconsistent keyboards. 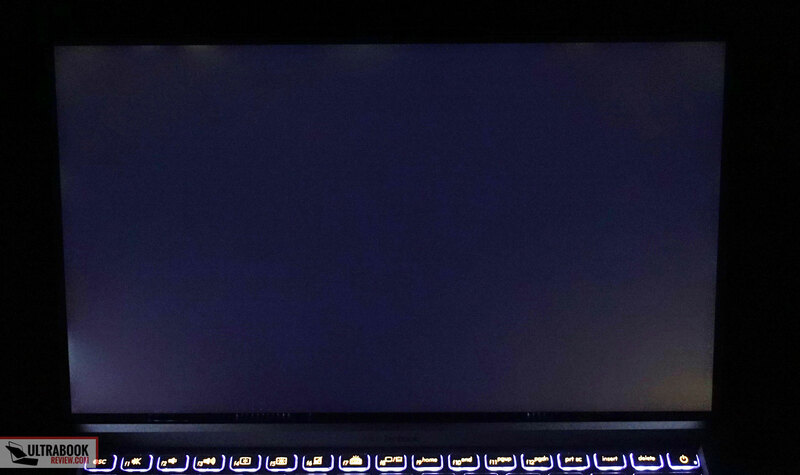 Starting at $400 entry-level to $2k, the sheer number of MX150 laptops in 2019 are over dozens. Everything else aside though, personally the keyboard backlight alone is a deal-breaker. 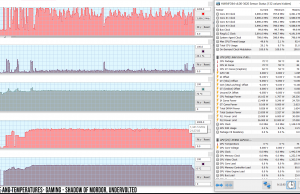 Curious who thought that was a funny idea, along with etching "UNSTOPPABLE" on top of an inadequate cooling system that can barely cool the world's worst performing dedicated graphics chip. 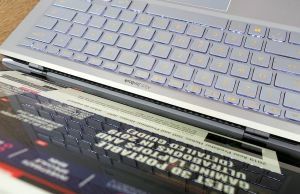 I agree, there are other similarly specced laptops available for less. 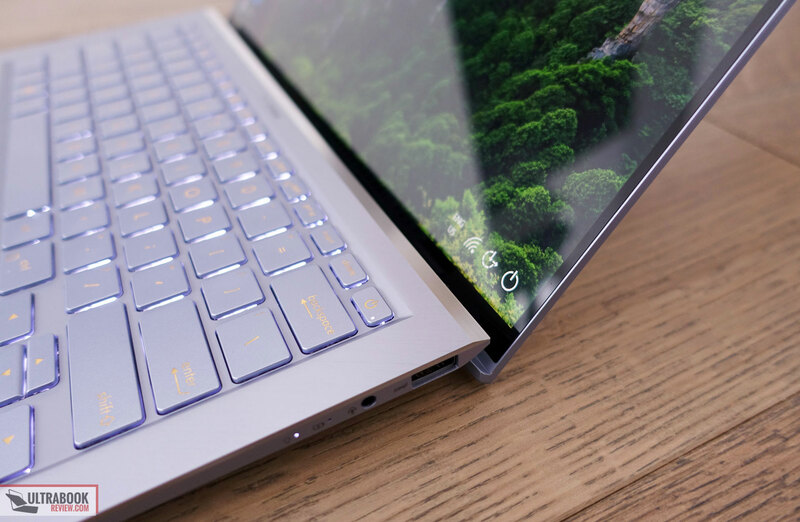 Some might even be better buys, like the MateBook X Pro, something I also mentioned in the conclusions section. 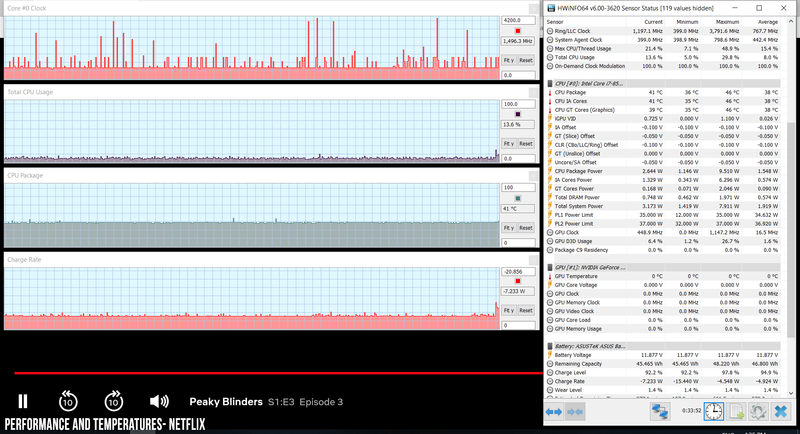 The T480s only gets a 250-nits screen, and even the i5 with MX150 and 256 GB storage is around $1300 (perhaps less with sales). 1. 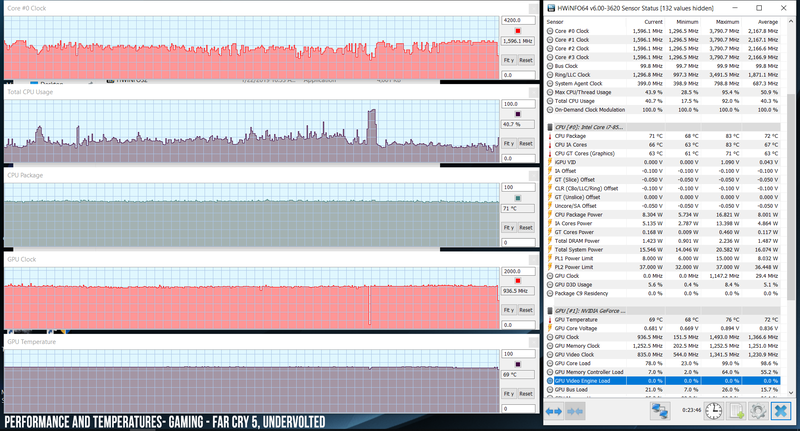 How each option actually performs in demanding loads and games, as well as their thermal/noise footprint. 2. 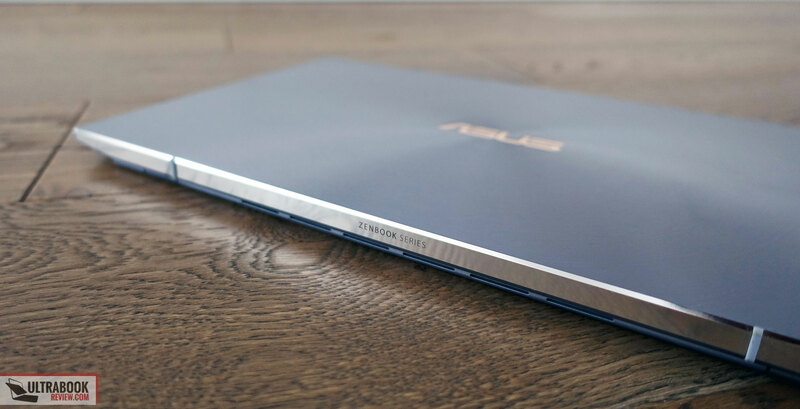 With this ZenBook you're also paying for the craftsmanship quality, the design, and the lightweight. If you don't care about those, that's fine, but some might. 3. 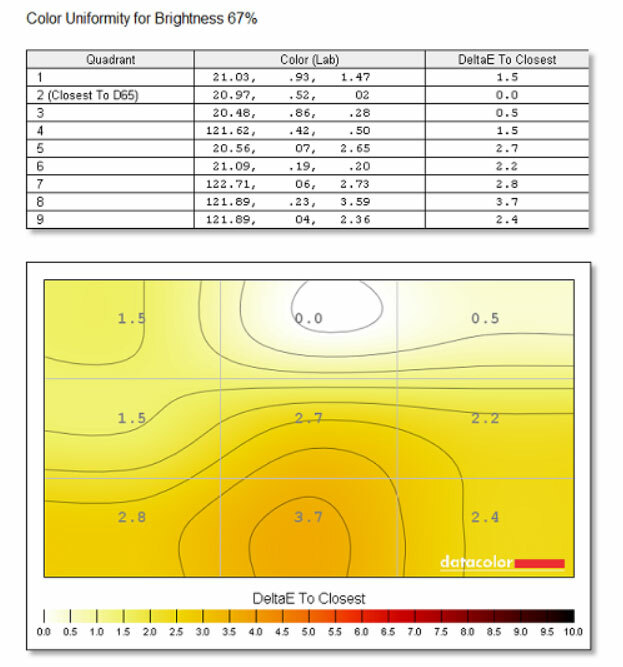 The UX392 is brand new, while those options you mentioned as alternatives are a year old. That means they come with older hardware (although that doesn't actually matter in most cases, as Kaby Lake-R and Whiskey Lake CPUs are similar), but also that the UX392 is going to get cheaper in the months to come. 4. 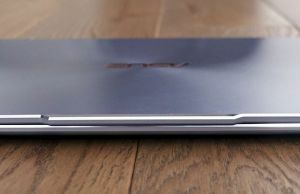 The ZenBook is more widely available, while some of the others are not or are more expensive outside the US, and I'm trying to weight this in the rating. 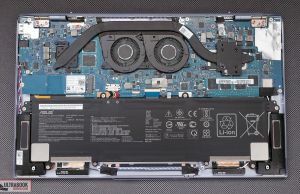 "Give it a 500+ nit touchscreen option, decent ports, PCIe x4 controllers, 60+ Wh battery, usable speakers, upgradeable components, all with a non-catastrophic QC and Service record"
I would sure love to see at least some of these in as many laptops, but aside from the X Pro, I'm not aware of any that checks most of them. 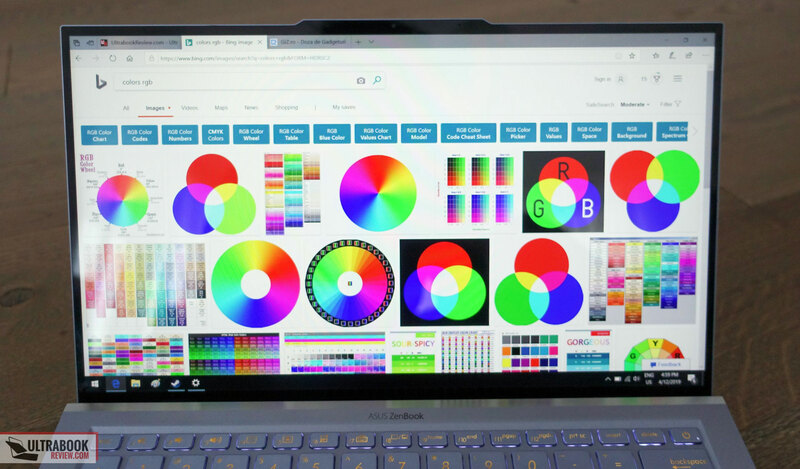 You're right of course, it is a decent laptop with certain aesthetic value. 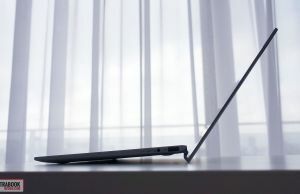 But $1,400 for what is presented as a flagship ultrabook with this many flaws is unjustified. – No TB3 ports. Even more baffling is that last gen units had them. – 5 hour battery life. 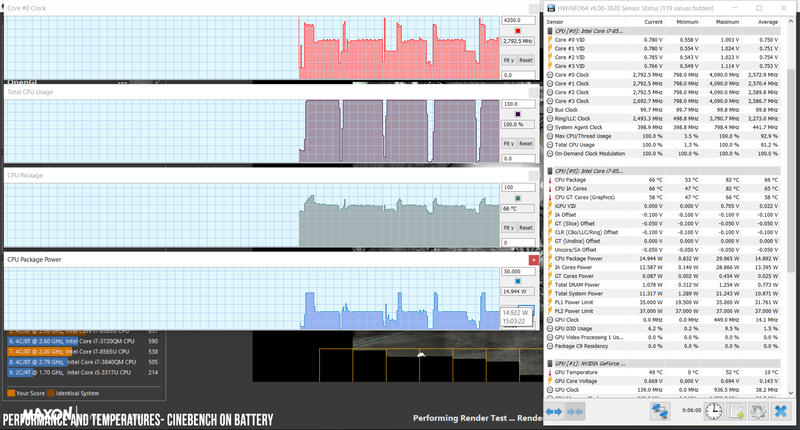 50 Wh is minuscule for a flagship 14" with dGPU. 70 Wh should be the very least. 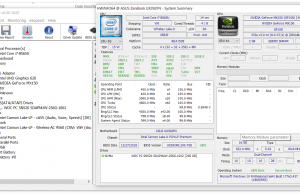 – $1,400 for non-upgradeable 8GB RAM is not cool, regardless of PC type. Either throw in a socket or cut prices. 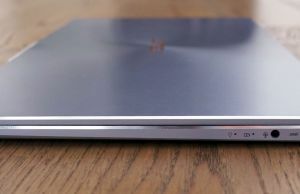 MateBook X Pro, Samsung NoteBook 9 15 (MX150), Thinkpad T480s (QHD 300-nit), Blade Stealth (FHD, MX150) – all these laptops check 4/5 boxes I listed above and offered 16GB RAM for <$1,500 at launch. All 4 are better alternatives to the ZenBook S13 (MX150), then and now. 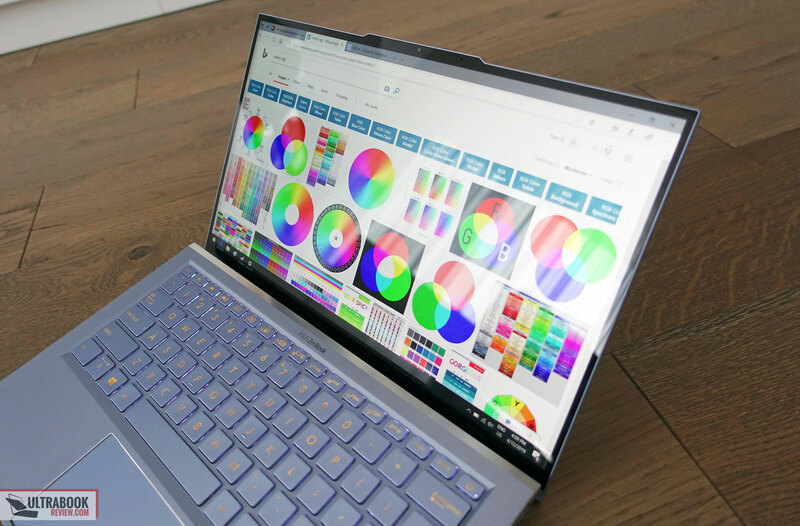 But while strictly comparing apples to apples, if I just wanted a fancy lightweight laptop with MX150, I would recommend Envy 13 over the ZenBook S13. Because it does everything the ZenBook does, only $500 cheaper. 1. Yes, I don't understand that either. The best explanation I could get from their PR was that they preferred to implement a dGPU instead of TB3, but the reality is that they should have implemented both. 2. 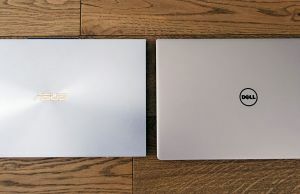 There's actually some spare room inside and they probably could have squeezed in a larger battery, but opted to use the one from the other Zenbook lines (cost saving, I guess?). 70 Wh would sure be nice, but it's unrealistic on such a thin device imo. 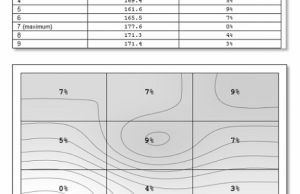 60 Wh on the other hand should be doable. 3. Most thin and lights go this route these days. I don't like it either, but it's one of the culprits of miniaturization. 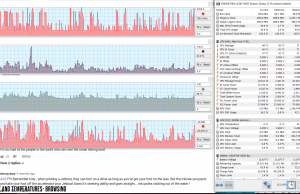 What I don't understand is why Asus didn't' put 16 gigs on that launch configuration, that would have made it more competitive at 1400. Hopefully that will change once this gets in stores. 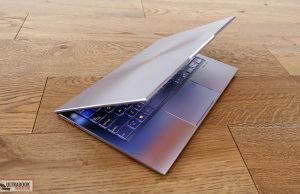 I feel this could have been an even better device if Asus did not plan to make it "the thinnest laptop with dedicated graphics", and instead made it a bit thicker and heavier, but used the space for a bigger battery (60 Wh would have been realistic imo), maybe upgradeable RAM and perhaps better speakers. 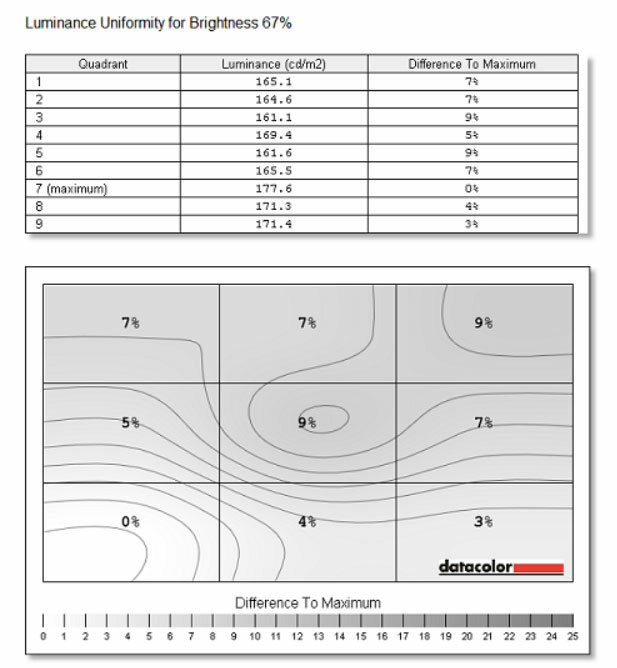 Thermals could have been better as well with a 2-3 mm thicker body. 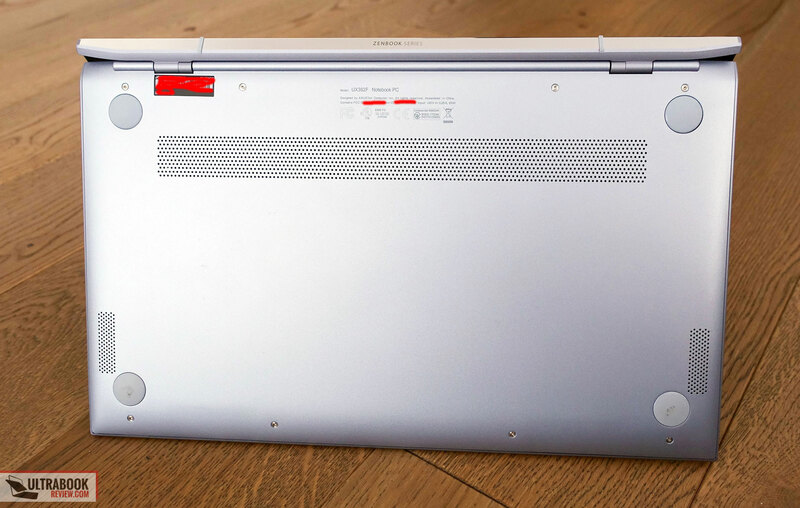 Unfortunately, I haven't reviewed most of those laptops you mentioned, as some are not available here in Europe. 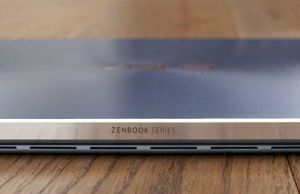 I agree that for someone living in the US, those are at least alternatives worth considering, if not better picks as you're saying, especially if you don't need the lightweight and fancy craftsmanship of the ZenBook. And yes, I totally agree there are better value i7/MX150 laptops out there, if value is what you're primarily looking for. The screen appears to be very reflective. 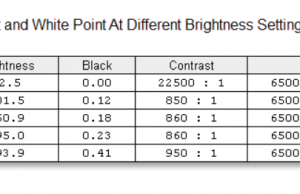 Is there any anti-reflective coating used? there's no antiglare coating, just glass, and yes, it is reflective. Just got mine 2 days ago. Bought it to substitute my oldie asus K450. Expensive at 1800€ but totally worth it. 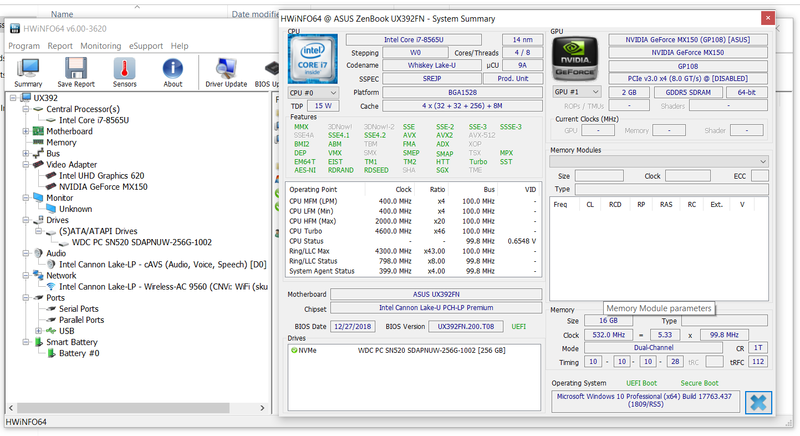 Some month ago I was waiting for the Asus 433, but I didn't ike the fact it came with a weaker screen in terms of Nits. 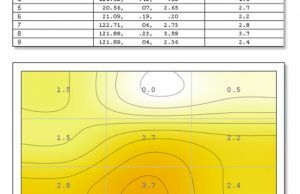 when news came out about this UX392, I knew I had to wait for it. It is expensive, but with a i7, 16gb ram, lightweight (for people who like me carry laptops everyday to work, it's important) and a fantastic screen one can not complain about the price. 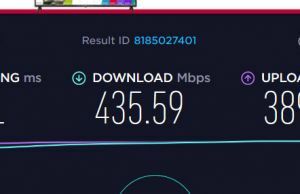 comparing the 433 at 1400€ I found it was worth the 400€ difference and invest in a laptop that will give great performance for a (hopefully) longer time. Software like Blender, runs smoothly. 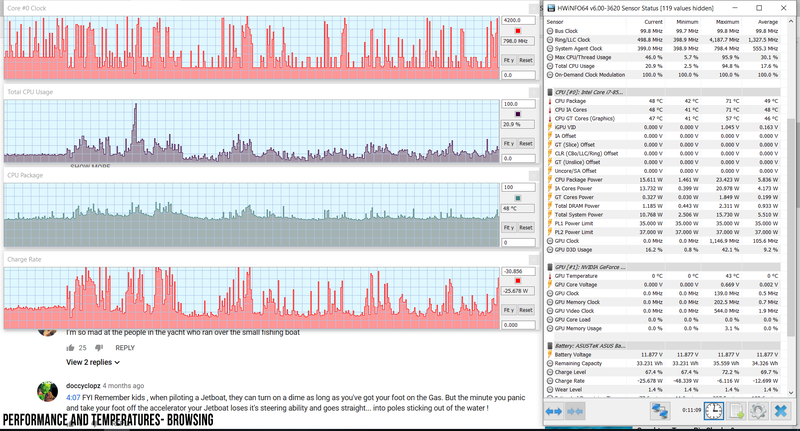 The fan is quiet and rarely speeds up. besides, it is very beautiful and the notch gives it a nice look. many people don't like it but I actually do and it is a great help to easily open the lid. 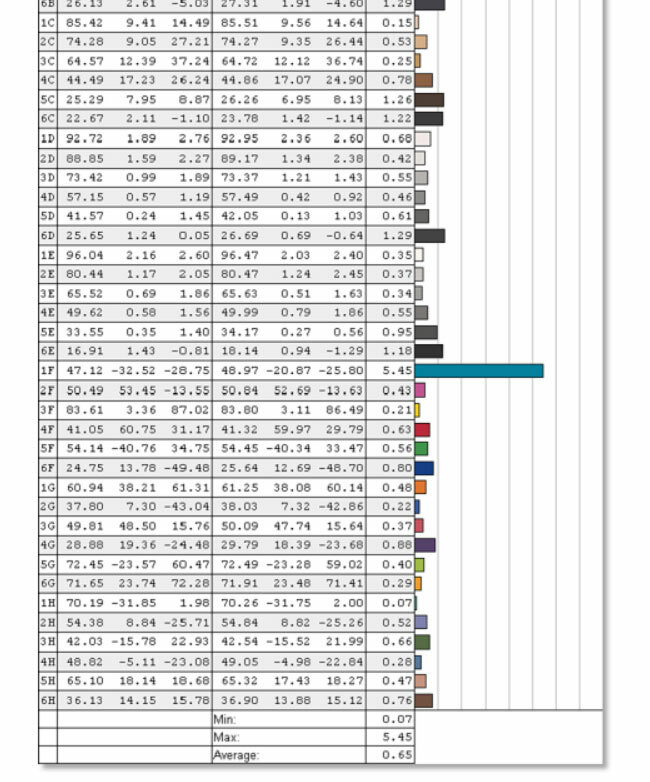 Our last article, you wrote that there is a matte screen. 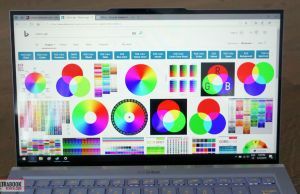 There a version with anti-glare or matte screen? The initial details at the time the UX392 was announced mentioned an anti-glare screen, but the final product seems to be only available with a glass screen, as far as I know right now. I'm sorry for the confusion, I've updated the initial article as well. 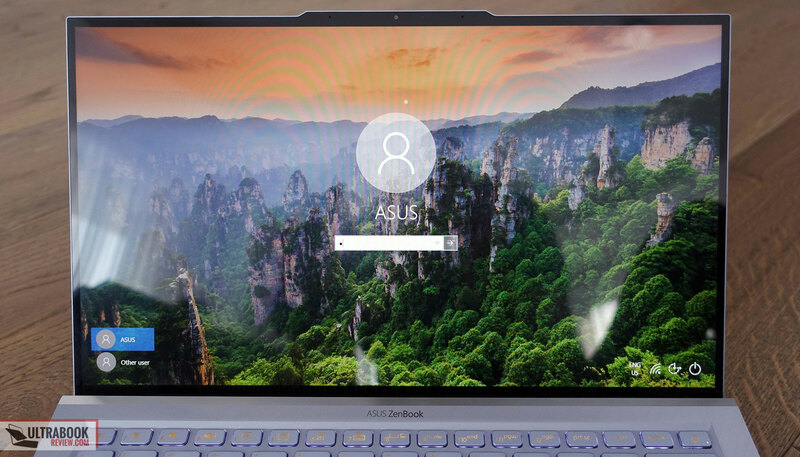 You should however ask the local Asus PR about it if you can, Asus have a tendency of delivering different SKUs to different regions, with or without glass screens.